WEST PALM BEACH – Five adult women and sixteen high school girls had reason to celebrate their academic achievements this week. 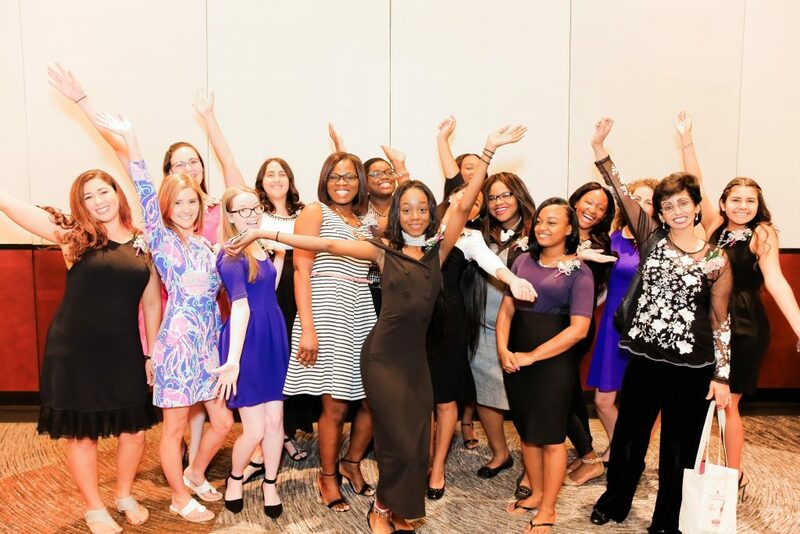 The Women’s Chamber Foundation awarded a record 21 scholarships at its 14th Annual Scholarship Luncheon and Silent Auction on June 1 at the Kravis Center. WPEC News Anchor, Liz Quirantes, was the mistress of ceremonies. With generous sponsorships by Bus One LLC, First Bank of the Palm Beaches, The Gehring Group, Gill Law Firm, Keiser University, Lytal, Reiter, Smith, Ivey & Fronrath, the Merrill G. & Emita E. Hastings Foundation, RBC Wealth Management, and Toshiba Business Solutions, twenty $1000 scholarships and one laptop computer scholarship were awarded to deserving women and girls who aspire to achieve economic success through higher education. Students will be attending both local colleges including Palm Beach State College, Palm Beach Atlantic, Florida Atlantic University and out-of-state colleges including Georgia Tech, Harvard, and Wellesley. This year the Foundation launched its Big Red Apple Scholarship Campaign. Foundation Chair Denise Albritton states, “our success in achieving our goal is because of women who believe that education is the key to accessing opportunities.” To learn more about the Women’s Chamber Foundation or to donate to its scholarship program, visit our Foundation page or call the chamber manager at (561) 659-0285. (C) Copyright of Scribbled Moments Photography, Inc.